UPDATE – FEBRUARY 21: THE GIVEAWAY IS NOW CLOSED. The winner will be announced later today. Thank you for your interest and good luck! Hello, friends. Welcome to another Poetry Friday roundup! I’m trying out a thumbnail linky list, so please add your link, image, and short title to the list at the end of the post and we’ll see how it goes. It’s also time to announce the winner of the giveaway from last week. Random.com tells me that the proud new owner of The Poem That Will Not End by Joan Bransfield Graham is…. Congratulations, Linda! I’ll be contacting you for your address. I know you’ll enjoy this marvelous book! On to the Poetry Friday festivities…. As you may have noticed, I have largely been missing from Poetry Friday for the past few months. I’ve missed you! The NCTE SPOTLIGHT SERIES takes a crazy amount of time, and I’ll be focusing mostly on that this year. But never fear – I still have some amazing poetic talents lined up for the spring, their videos already in the coffers. I’ve made it easier to find what you’re looking for by adding a new BLOG POST INDEX tab to the navigation bar. Check it out! Consider this my little way of bringing more people to poetry and more poetry to prose! I won’t get into too many details on this post since interested parties can click here to check out the new LYRICAL LANGUAGE LAB information page. The first class begins on April 1, 2014. And there’s a giveaway below! For Poetry Friday, several of my beta testers (all children’s writers, most non-rhymers, and most first-timers to Poetry Friday) have posted some of their short practice poems from the meter lessons, some along with the feedback I gave on their drafts. Please visit them to see what they’ve been up to. And I will share a further couple of poems by another beta tester, this one from the lesson on anapests. an improbable boulder digests its address. that it left long ago on the glacier express. And this one from the double dactyl challenge. I can relate! To celebrate the launch, I’m giving away one admission to the course to be redeemed in the month of the winner’s choosing. Just leave a comment letting me know you’d like to be entered. You can enter for yourself or give the course to someone else if you win. Names will be entered into random.org and the winner announced on February 21. Now bring on the poetry links! You’d like to receive my weekly posts in your inbox, you say? Sign up in the email subscription field in the sidebar! “Erratic” and “Lazy Victoria” © 2014 Victoria Richardson Warneck. All other content © 2014 Renee M. LaTulippe. All rights reserved. Blog Tour! 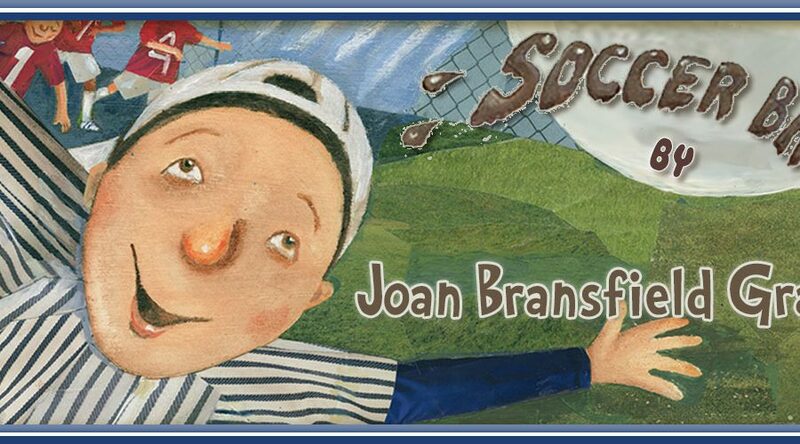 "Soccer Ball" by Joan Bransfield Graham + Giveaway! Hi! I would love to be entered! This course looks great. Thanks! I’d love to be entered into the giveaway. What a great opportunity! Thank you! I’d love to take this course in the future. Good luck to everyone. You give wonderful critiques Renee so I’m sure you will rock this!!! The best of luck with your course! Thanks for hosting and allowing me to post my links tonight! Your course sound like the exact thing I need! Thanks for the opportunity to win the chance to learn with you. I read about the giveaway on Alayne Christian’s post…I’d love to be entered to win. I love writing picture books in rhyme…but it is DARN hard to get it right, without sacrificing the story and/or the characters (mine don’t always survive:). Thank you for the opportunity…it is very generous of you! Count me in for the giveaway, Renee! Wishing you great luck with your newest venture. Great last line on Victoria’s quatrain — it’s scientific and clever and rhymes, too. 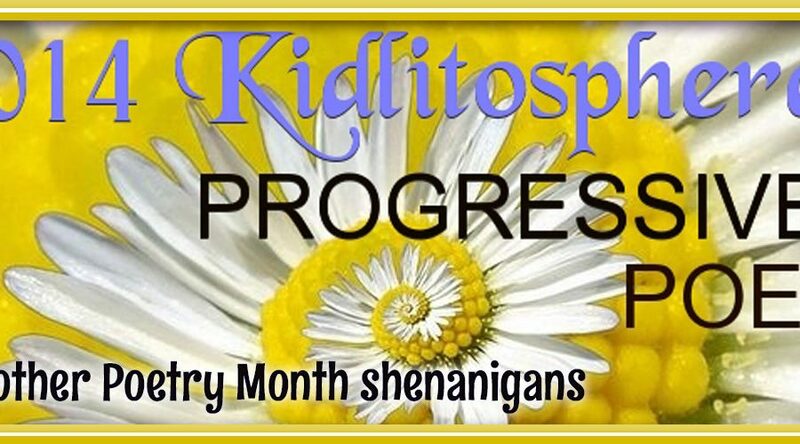 All this month, I’m inviting creative souls to participate in a project. We are writing (or drawing) in response to Pantone paint colors. PF regulars Linda Baie, Margaret Simon, and Diane Mayr have joined in. I hope more of the Poetry Friday gang gives it a try. I would love to be in the drawing for a free admission to your Language Lab. Strengthening the lyricism of my prose would be wonderful! Thank you for offering such a phenomenal opportunity. Me! Me! I want to win! This course sounds fabulous! Thanks, Renee! I have been an admirer of yours for a while now. Your site is always inspiring and full of great poetry. I’d love to enter the give away for your new online course. This may be just what I need to boost my skills. It’s a scary idea, too, which makes me think it’s just what I need. Thanks for the offer and I look forward to updates about the course. What fun! Please enter me to win! Thank you! Thank you! Renee, I would love to be entered in your give-away! Almost all I write is rhyming picture books. How I would love to take your course. And welcome back! Wow, Renee, this is so exciting. Congratulations on launching this course! Sounds like a wonderful course! Please enter me in the give-a-way. Thank you, Renee! I am in desperate need of livening up my prose writing. Would love to take this course sometime during the year. I’d love to win your course! Oh my, I need to get some sleep! I meant “Joan’s” wonderful book! My apologies! Hi Renee, Your course sounds wonderful! I am not a poet and also do not write in rhyme. However, I would love to be able to learn more about lyrical rhythm and the technicalities of poetry in order to spice up my picture book manuscripts. I would love to enter your contest. Thank you for your wonderful posts and happy creating to you. T.
WOW! This looks awesome! What a great idea! Count me entered! This would be so great to win! Congratulations on the launch of your course, Renee! It sounds great! I’d love to be entered in the draw. Hi Renee, I can’t get through on the subscribe box with my email address. Each time I try it rejects and states unable to use email with Feedburner. Could you let me know how to subscribe please? Congratulations on the launch of your course, and would love to do that also and be entered into the draw. Thank you for hosting Poetry Friday this week, Renee! It sounds as though you are spectacularly busy with wonderful creative projects. Congrats! Looking forward to learning more about poetry! LOVE THE NAME of this course!! And yes– PICK ME! PICK ME! The course sounds great, Renée. Can’t wait to take it. Your course sounds amazing and I’d love to be entered in the drawing! Congratulations! Simply fabulous! I am going to take your class, Renee! Thank you for hosting today and for all you offer to us here in Poetry Friday land. Thanks for hosting today, Renee! I would love to be entered in the drawing for your course. It sounds like it will be a great learning experience! Oh, this course sounds wonderful, and I could certainly use it! Please enter me! I would love to win the course. i would love to punch up my prose with some poetry. We’re going to have to start calling you Wonder Woman! Congratulations on your new online course and thank you again for everything you do for children’s poetry. Special treat at Alphabet Soup today: 3 teatime poems and Eileen Spinelli’s recipe for British Brown Betty. Also announcing the winner of The Poem That Will Not End Giveaway. Thanks for hosting the Roundup this week! Finally! A class in poetry for children!!! Yay!!!! Please enter me into the contest!! Thanks for tossing my name into the random draw! this is such a wonderful opportunity! Your course sounds interesting. I’d love to be entered into the drawing to possibly win a free entry to learn more about poetry from you. Thanks for hosting Poetry Friday. Looking forward to stopping back to follow the links later today. I’d like to be entered in the course giveaway! I love writing in rhyme, but it’s never quite right! Thanks for offering the course!! Julie Rowan=Zoch sent me. I would love to win this scholarship. I TOTALLY need the help! Teresa Robeson sent me here. I’d love to try your class! Your course looks so useful and fun. Congratulations! I’m definitely interested in taking it, so please enter me in the drawing for the giveaway. Thank you! What a great opportunity Renee! Sounds like a terrific course. A course I have been waiting for. Thank you for giving us a chance to win it . It looks like a GREAT course Renee! I’d love to enter to win. Thanks for the opportunity. Please enter me. I just attended a POL competition and my appreciation for poetry is piqued. I would like to learn more . Thank you. It is so fabulous that we now have a poetry course now, Renee. Count me in. I’d love to take it later in the year. Hooray! Yes, Wonder Woman, indeed! What a wealth of info and service you provide! I would love to be entered into the competition. What an fantastic opportunity! What a perfect launch, Renee. Thank you for letting me be a part of this fantastic experience. Congratulations on a beautiful job well done. I just signed up for April’s class! I’m so ready to learn! I would love to be entered in the giveaway! So excited you’re offering this new course. Yay!! What a wonderful course!!! Would love the opportunity to be entered!!! Thanks for giving us a chance to win a seat in your class! I love poetry but am pretty much clueless when it comes to meter, stresses, etc. I heard about this via Alayne Kay Christian & she did a good job w/her quatrains. Hope I win! Please enter me in the drawing to win your awesome course! Thanks @SylviaLiu for the link to this great site and opportunity. Please enter me, and thanks, Renee! I am so happy to have found your site and would love to take your course. I write picture books, and some are in rhyme, but I want to perfect that skill. Thank you! Renee, I was so excited for you when I first saw a post about your online course. Now that I’ve read more about it, I’m excited for me! It looks like it’s exactly what I’ve been looking for. YAY! This sounds like the perfect course! Renee, please enter my name into the pile! Congratulations on your new course! What a gift you’re giving others by investing the time to put all of your knowledge, strengths and passions together! Thanks for hosting today, Renee! Yes, please, put my name in the hat. I would love to perfect my craft. I would love to win this! Please enter me in the course giveaway. Thanks! Thanks for hosting. And yes, please enter me into the contest. The Lyrical Language Lab course sounds like a wonderful opportunity. I appreciate being considered for the give away. Thank you. As an illustrator who writes, I am always looking for ways to improve my craft. Will you please enter me in the giveaway? (though this course sounds like a bargain worth budgeting for) Thanks for the opportunity! You have been a busy bee, Renee–and it sounds like your class will be terrific! Please enter me in the drawing. Sounds like this would be a wonderful class! I would love to be entered in the giveaway! Thanks! This course sounds fabulous, I’d love to win a place on it. Cheers. Renee, my rhyme writing needs serious training and discipline. This course seems to fit the bill. Put my name in the virtual hat for this contest. Oh I would love nothing more (except publication) than winning this giveaway! Thank you for the opportunity! Congratulations on the class. I would like to be entered into the giveaway. Oh, yes, definitely put my name in the drawing! Thanks for the opportunity; it sounds wonderful! Congrats on the class! 🙂 Please sign me up for the drawing. Please keep me posted as the course sign up nears. I am in need of learning how to write poetry and prose! What a wonderful opportunity. Please add my name to the giveaway drawing. I would like to be considered for your contest! See, can you tell I need the class, ha, ha?!!! I would love to be part of this. I took a college course in epoetics and thought it would help me with my skill, but instead it only delved into poetry and historic poets, which, by the way, I wish to one day be! Well, I totally missed Poetry Friday this week, but I would love to be entered in your give away. It sounds just wonderful. I’d love to be entered in the giveaway:) THis might just help me delve into my poetic side and finally write a rhyming picture book! thanks so much for hosting…and for such a fantastic opportunity! Your new course sounds like fun! Please enter me in the giveaway! Your site is always so informative and fun! Thanks, Renee! I practice all the time. To help my work succeed! Thank you for the opportunity to win space in your course, and to KidLit411 for sharing the link! My favorite book as a child was Each Peach Pear Plum because I memorized it and could “read” it all by myself. I think that is the reason why most of my picture book manuscripts include word play. Just found your blog and love all the information. I’ve had a couple of rhyming text’s bouncing around in my head for a while and would love the chance to explore their potential better. Love how “Lyrical Language Lab” rolls off my tongue. I’m in! I’d love to be entered for the scholarship. I’m pretty sure that I’m late for this. HOWEVER, a chance to be entered to win a free class of yours, would be the Most!! So PLEASE enter me in your giveaway. Yaay, for you and your new online class. Much success! Wow Renee! You have been busy. Your class looks really fun! I’d love to enter, the course sounds fantastic! Thanks Renee. i’m pretty thrilled you are teaching a course. I would love to win a spot. As this contest sounds great! None will match my big grin! Have I not entered yet? Well, let me rectify the situation now! Sounds like you’ve got an intriguing course lined up…best wishes for success with it. Please put my name in the hat for the chance to win! The course sounds great! I have a manuscript that has been tabled for 2 years and counting. It’s rhyming and I can’t seem to get it right. This course sounds like the perfect opportunity to pull it out and work on it again. I would love to be entered! Your course sounds fantastic. Thanks! LYRICAL LANGUAGE LAB sounds lovely! I have Greg Pincus to thank first for sharing this on FB, and now you, too, Renee, because your site is the answer to my poetry meter prayers. Thanks in advance for this great giveaway and for entering me. I just found you because someone posted this giveaway on FB. Glad to find you and thanks for entering me in the giveaway. to take it and not pay a dime! (I bet it is worth every penny but my finances aren’t friendly right now.) So please enter me in the contest. I’d love to take part. I would definitely love to take your course! I am struggling with a rhyming manuscript, and it would be invaluable. Thanks for entering me in your awesome give away! OMG, I am glad I checked, as I thought I had already put my name down!! Renee, I would love to be entered in your giveaway class. It sounds wonderful. Please enter me in your generous course give-away…fingers crossed! Hi Renee – this sounds great please enter me into the contest. Great opportunity for some lucky person….. Please enter me! I would love to be entered in this drawing! Thank you all for your interest! The giveaway is now CLOSED and the winner will be announced later today. Good luck, everyone! Hope to see you in class!